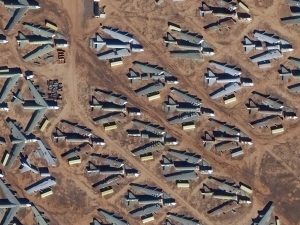 Apollo Mapping is happy to announce that federal government agencies, and their prime subcontractors, now receive a 50% discount on all DigitalGlobe imagery products! Imagery can only be licensed to a single federal government agency, for example the Environmental Protection Agency (EPA). If ordered by a prime subcontractor, an award letter or similar documentation must be provided to prove the project scope is for a single government agency. Imagery would be licensed to this single agency only and would have to be deleted by the prime subcontractor at the end of the project. If you would like to review the federal government license for DigitalGlobe imagery, it can be downloaded here. And if you have any questions about the new license and its associated discount, send us an email at sales@apollomapping.com. This entry was posted in The Geospatial Times and tagged Apollo Mapping, DigitalGlobe, discount, Imagery, product updates, The Geospatial Times by Apollo Mapping. Bookmark the permalink.